Heritage Hall is located on the East Campus of Western Michigan University. Age 84, passed away November 2, 2017 in Kalamazoo. Betty was born October 3, 1933 in Muskegon, MI, the daughter of Irwin and Agnes Kelly. Betty served as Secretary to the Western Michigan University Board of Trustees for 35 years, retiring at the end of 2015. She worked with 46 trustees and for every WMU president except Dwight Waldo. Between her time as Board Secretary and earlier WMU positions at the Graduate College and in Residence Life, she spent a total of 42 years in service to the university community. Betty first came to Kalamazoo in 1957 with her husband Bruce after they lived in West Germany during Bruce's military service along the East German and Czech borders. She is survived by Bruce Kocher and their sons Tom of Kalamazoo and Michael, who lives in Geneva, Switzerland with his wife Soraya and the two Kocher grandchildren, Ryan, age 8, and Nathan, age 3. Betty was preceded in death by her parents and brother Charles. Betty was deeply and unfailingly devoted to her husband, children and grandchildren. She was big-hearted, humorous, and warm, always finding meaningful ways to engage with and help others. She loved her Winchell neighborhood home and interior design and decorating. Betty was erudite, inquisitive and worldly, traveling extensively with the family to numerous countries and continents over many years. Betty's passion was her work, and she truly enjoyed her colleagues and assisting many thousands of WMU students through the years. 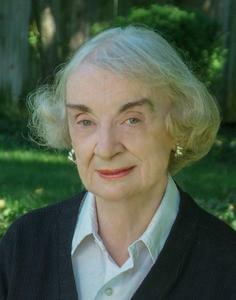 She also served the greater Kalamazoo community through various charities and extensive volunteer work. A celebration reception honoring Betty's full, loving and accomplished life will be held on Wednesday, December 20, 2017 from 3:00 to 6:00pm at Heritage Hall, 625 Oakland Drive, Kalamazoo on the East Campus of Western Michigan University. Memorial contributions may be made to the Betty Kocher Memorial Fund, care of the WMU Foundation, 1903 West Michigan Avenue, Kalamazoo, MI 49008. Please visit Betty's personal web page at www.BetzlerFuneralHome.com where you can archive a favorite memory or photo of Betty and sign her online guest book. Arrangements by Betzler Life Story Funeral Homes, 6080 Stadium Drive, Kalamazoo, tel. 269 375 2900.